Cole Thomson is only 6 years old and has uncontrolled focal epilepsy of which he has now become drug resistant. There has been a steady decline in his health since May this year and to date nothing has been able to stop his seizures. Coles speech, vision, movement and memory are all continuing to deplete and he has also developed Todd Paralysis. Currently the next step in Scotland is invasive testing. This onsists of drilling up to 16 holes into his skull, to allow electrodes to be inserted deep into his brain. Cole will then be bed ridden for up to 9 days to allow for the collation of medical data to be processed and analyzed by the medical team. This will then enable them to decide whether or not Cole is indeed a suitable candidate for further brain surgery, if he survives this current first step exploratory testing. 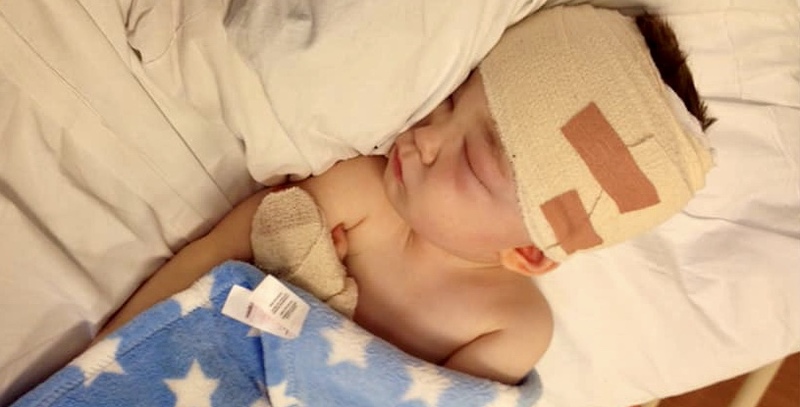 “Cole has a 1 in 100 chance of not surviving the operation as well as a 1 in 100 chance of further brain damage but we need to carry out this test to enable us to see if Cole is a suitable candidate for further exploratory brain surgery”. “On the 1st November this year, the Home Office handed over the responsibility to the Scottish Government to distribute prescriptions for medicinal cannabis to children on condition that they had Lennox Gastout Syndrome, Dravette Syndrome or where unsuitable for brain surgery. I can’t believe that we have got to go through the mental anguish of our son Cole potentially dying on an operating table, whilst getting holes drilled into his brain to find out whether or not he is indeed suitable for a brain operation in the first place. Cole should be allowed access to a medical prescription that would give him the best chance of not having to go through what will be a barbaric operation for a grown adult never mind a 6 year old”. Local charity the East Kilbride Community Trust are looking for the Scottish Government to help to enable a step in between which would negate the need for invasive testing by allowing Cole legal access to cannabis based medicine. This would be the step before invasive surgery which would give him the opportunity to try a more natural drug which has a very high success rate for children like Cole all over the world.